Autumn has come in Japan! 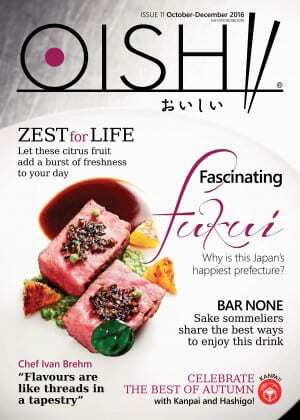 OISHII Vol.11 introduces several interesting stories about Japanese food and culture. The regional feature is Fukui prefecture- you will encounter friendly locals, an abundant of amazing produces and Zen mind.